If you’re getting married this summer or even into early fall, you’re probably busy working on all the big details. 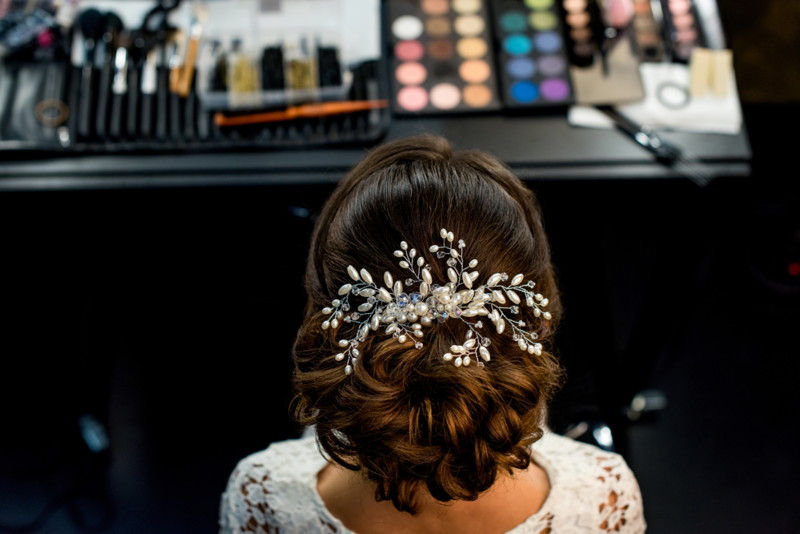 One of the most important decisions will be the hairstyles that you’ll choose for you and the bridal party. You want everyone to look their best, and those photographs to be cherished for a lifetime. When you’re deciding on just the right hairstyle for you and your bridesmaids, you may find yourself with a couple of styles you love but you’re not sure what exactly to choose. This is where your TRU salon + Spa stylist comes in. They can be your best friend when it comes to helping you determine what to choose – long or short, curly or straight, up or down or partially up, and colored or natural. The choices may seem endless but we have the experience to help you decide what will work best for your wedding. If you have short hair, your options aren’t limited like you may think. Simplicity is key for the modern bride, and short hair does simplicity with style quite easily. A natural bob can be used to showcase a focal point accessory or an elaborate dress. For a romantic look, you can mimic a longer-hair style with a short, loose updo with a twisted knot. Don’t be afraid to accessorize with flowers, tiaras, or even a strand of delicate pearls. For those with long hair, decide with your stylist if an updo or flowing style will be complementing your face and your dress. You might surprise yourself with a style you don’t wear often that might look best with your dress, veil, and overall wedding style. Half-up styles are flattering on just about everyone and can give you a romantic look, a modern look, or be reminiscent of a time long past. This is a popular bridesmaid style since it’s a great choice for a large variety of hair types and can be done with short or long hair to keep consistency in your bridesmaid style. If you’re contemplating a color change or new perm or straightening treatment for the big day, don’t make a drastic hair color or texture change. Be sure to do it early so that if it doesn’t work out the way you were hoping, there’s time to grow it out before the wedding. You definitely want to reflect your personality on your big day. Be sure to bring in pictures of your bridal theme, color samples, and dresses to be used as important tools for you and your styles to take into consideration when deciding your wedding hairstyles. Don’t let your hairstyle worries consume you on your big day. Call us for a wedding consultation early to have marked off the wedding checklist. Give us a call at one of our two locations - Branchburg, NJ (908) 218-9878 or Warren, NJ (908) 753-9878, book online, or download the app for free from iTunes, Google Play, or Amazon.